You do not have to sign up ahead of time. Sign Up by April 27th to watch your gymnast show their talents on May 11th!!! $30 per Athlete - 11:30am OR 2:30pm for Instructional and Starburst Gymnasts. Call 772-9443 for more information. 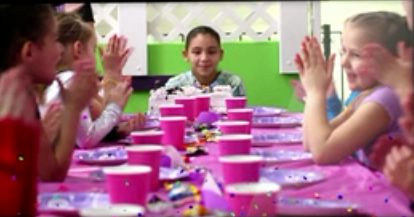 Children 4-12 can be dropped of for a Fun Night so you can have a Fun Night of your own. $20 per child 6:30 - 9:30pm, Please sign up no later than Friday before. Check the Calendar of Events for the next Super Saturday! 45 minutes of non-stop fun in our 12,000 sq.ft. gymnasium!